The biggest challenge to Auto Enrolment compliance – the amount and frequency of data transfer between payroll and pension systems – gets even more complex for large payroll bureau businesses with the possibility of employers choosing different pension providers. Users of bureau companies not only have to deal with the archaic and error-prone CSV methods but also have to deal with multiple pension platform interfaces. Our solution, powered by PensionSync, solves this problem and much more besides. You can let your clients choose their preferred pension provider without having to worry about the intricacies of how each pension platform works. 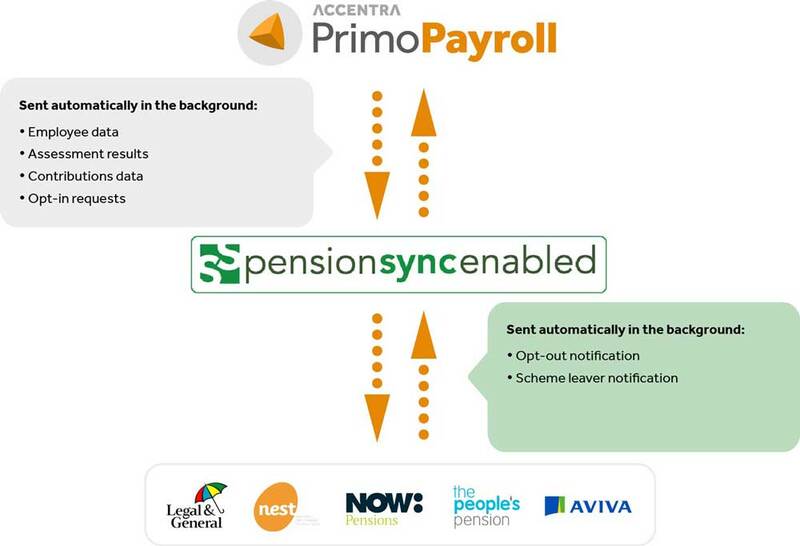 Sign your clients up to pension schemes right from Primo Payroll and once signed-up let the system take care of most of the routine payroll tasks. Once signed-up, compliance tasks are completed automatically in the background – with little or no manual intervention required.